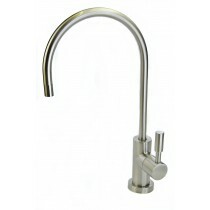 Finerfilters Deluxe Euro-luxury RO Tap 1/4"- Brushed Nickel Finish. 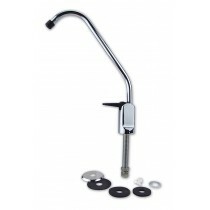 Fits all water filter & RO systems. Very good product,filter cartridge and filter holder not included in this package still good Finerfilters says: Thank you for your purchase and taking the time to review the product. 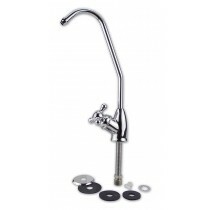 For our Drinking Water Filter kits, please check out the 'Systems' on our website. With so many similar products available it is hard to choose and this product is a good design and construction. Cheaper than on Amazon but slightly more expensive that stuff intended for caravans. I'm well pleased with my purchase as it is very good and arrived very quickly. This "test purchase" was enough to persuade me that I'd buy a filter system from FinerFilters. I sought advice and took it. Didn't need to spend a lot of money to get a good system so very well pleased!!! Good product, good price, swiftly delivered! This replaced one we bought from another supplier in February. perfect for the job, it is worth noting that the instructions that come with it are out of date, but that does not detract from the quality. 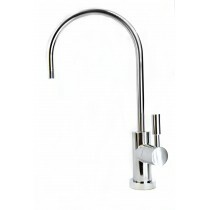 I was very pleased with this new chrome design of tap for my filtered water system, a much improvement on the old lever design. 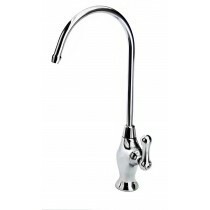 For a chrome tap at this price was excellent value. Thank you Finerfilters for your water filter products.